Barbara Lamb is a name many in the ET and UFO field know very well. For over two decades, Barbara has researched and lectured on the subject of extraterrestrial encounters. 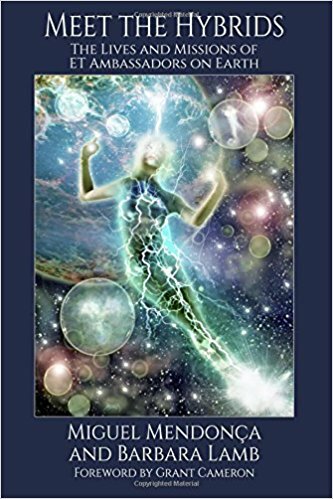 Having regressed well over a thousand individuals with these encounters, Barbara continues to reveal new vistas into the idea that many on this planet just may have direct connections with non-human intelligence. In this, my second interview with Barbara, done at her home just outside of Los Angeles, we discussed her latest project and that’s a book in which she co-authored with researcher Miguel Mendonca called Meet the Hybrids. Some of what Barbara discusses in this sit down chat about the hybrids may surprise you, and some might seem familiar to you. Either way, I know you’ll find what Barbara has to say nothing short of extraordinary. Meet the Hybrids explores the lived experience of eight individuals who understand that they are part-human and part-extraterrestrial. Guided by their star families and other entities, they are dedicated to personal missions which contribute to a larger process involving the flourishing of human consciousness, and the protection and evolution of life on Earth at this critical time. Based on over 100 hours of interviews and conversations, this book gives each of the hybrids their own voice. They share their personal journeys of discovery, their abilities, and the joys and challenges of living a dual existence. They invite the reader to radically expand their understanding of reality itself, and pursue their own evolution. The hybrid phenomenon brings us closer than ever before to understanding the ETs themselves, and offers answers to some of humanity’s biggest questions.